Quick, what have you had your eye on at Joe Fresh? Because you have just a couple more days to get 20,000 PC Optimum Points when you spend $80 or more! All you have to do to get the points is meet the minimum threshold of $80 worth of merchandise in your cart and link your PC Optimum account on your desktop or mobile browser. If you need to link your account you can do that here. Just note that it can take up to 3 business days for your points to show up in your account after your purchase. In case you're unsure, 20,000 points is a pretty big deal - that's a reward value of $20. You have until 4:00 AM EST on April 16, 2019 to get these points. Shipping will be free on orders over $50. 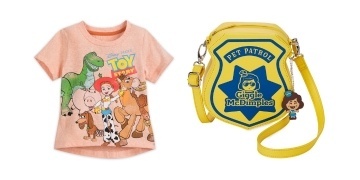 There's a New Toy Story 4 Collection @ Shop Disney!